The Cabinet Office has launched a new £10m fund designed to help voluntary sector organisations prepare for new types of social finance and play a bigger role in public service delivery. The fund, called the Investment and Contract Readiness Fund, will open in April and will operate for three years. A statement from the Cabinet Office said it would appoint an external organisation to administer the fund. The Cabinet Office statement said: "We want to help organisations to develop the right skills, the right systems and the right attitude so that they are ready for investment, and in a stronger position to win public sector contracts. "As a result of the programme, we expect to see more civil society organisations attracting investment and winning public sector contracts, and a growth in the range and quality of intermediary organisations supporting the social economy." 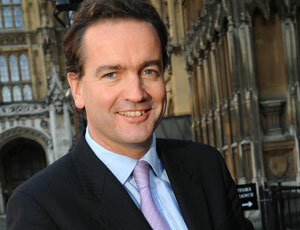 Nick Hurd, the Minister for Civil Society, has also today published an open letter to the sector that outlines an "open public services listening exercise" to take place over the summer. "This exercise will look at issues such as accessing open markets, reducing barriers and improving commissioning," the letter said. It said details of how to take part in the exercise will be published on the Cabinet Office website, and the government will respond to it in the autumn. Sir Stuart Etherington, chief executive of the National Council for Voluntary Organisations, described the Investment and Contract Readiness Fund as "a step in the right direction", but said he had some concerns about it. "Helping the sector to get contract-ready is positive, but we also need contracts which are ready for the sector," he said. "Getting a proper handle on commissioning is essential for bringing about lasting change and, until we see progress with this, focusing on delivery and new mechanisms to transfer services out of the public sector will make little difference." Etherington said many NCVO members were also concerned that "the journey towards open public services outlined in [Hurd’s] letter lacks either a clear destination or an estimated time of arrival."